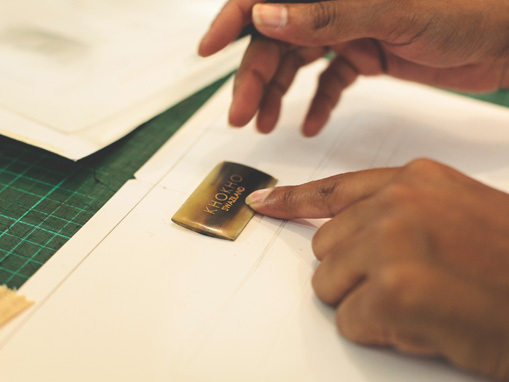 Our vision is to elevate handcraft through fine craftsmanship and specialized design and advance the development of local artisans, while preserving the spirit of traditional, time-honoured techniques. We are committed to creating income opportunities for artisans in Swaziland and building global awareness of luxury craft originating from Southern Africa. In addition to annual earnings, artisans benefit from a percentage of each sale, and this income helps develop their own community and business ventures. 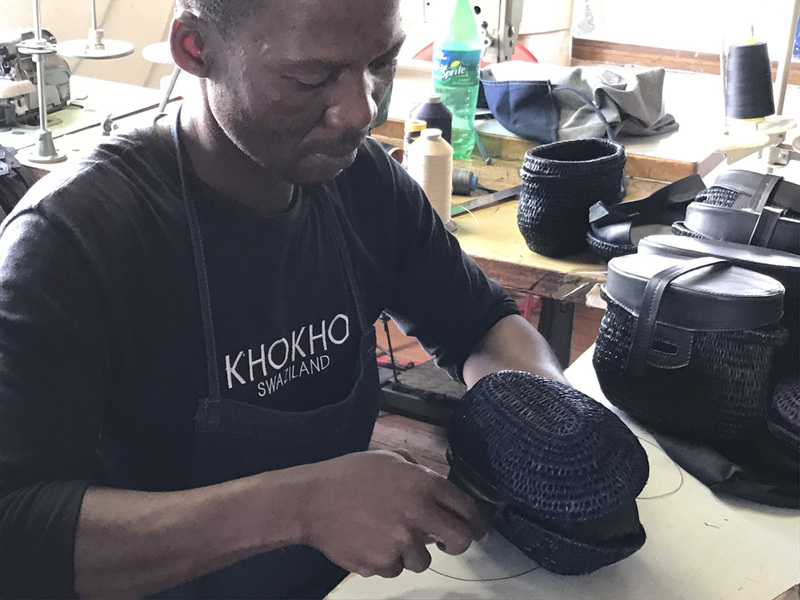 An Italian master leather craftsman was brought to Swaziland by Khokho to further the training of 12 artisans in leather craftsmanship; the business now has an active studio with 8 full time employees. We provide ongoing training to the team in technical and business skills, and have an employee run staff wellness program and an active staff committee. The employees are included in decision-making, particularly on employee benefits and policies. We partner with a group of 12 women weavers in the Ntondozi community, and have been part of their journey in forming their self –governed cooperative called Buhle BaKhokho (meaning Beauty of the Great Grandmothers). We provide on-going training programs to the co-op including leadership, governance and business management. Calsile, the elected chairwoman, recounted her pride to the rest of the group after opening a bank account for the first time. Since that date, the co-op has secured farmland though their local constituency, donated from their own profits to a local OVC care point and started the process of business planning to further their economic activities. Terms & Conditions: We work though our partner brand representative based in New York.We share full terms and conditions with partners during the order process.